. 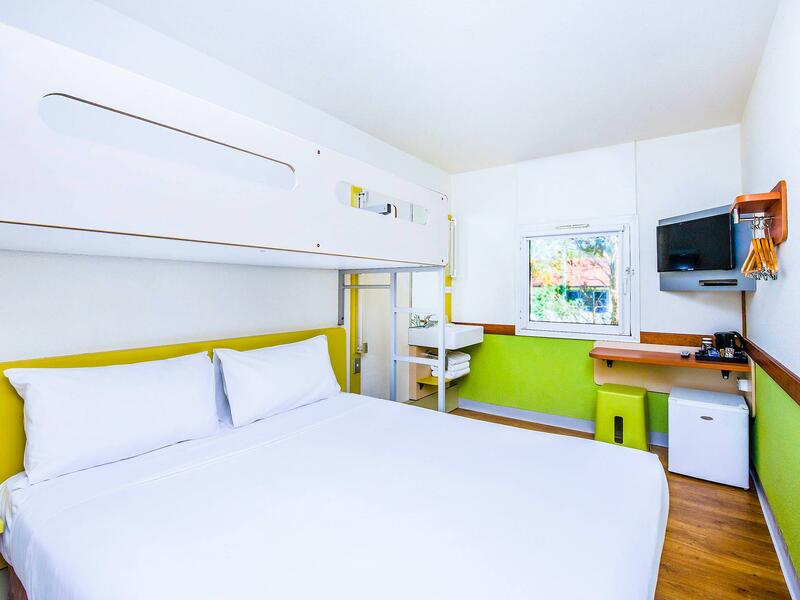 يعرف Accor Hotels بالمستوى الراقي لخدماته ولباقة موظفيه، وهذا ما ستجده في ibis budget Canberra. يمكن الاستمتاع بمجموعة من الخدمات على أعلى المستويات في الفندق كمثل خدمة التنظيف يوميًا, مجهز لذوي الإحتياجات الخاصة, مرافق مخصصة لذوي الاحتياجات الخاصة, تخزين الأمتعة, واي فاي في المناطق العامة. تعكس غرف الفندق البالغ عددها 75 المنتشرة في 2 طوابق جواً من الدفء والألفة.خدمات عصرية مثل مكيف هواء, تدفئة, مكتب, ساعة منبه, اتصال لاسلكي بشبكة الإنترنت (تطبق الرسوم) موجودة في بعض الغرف المختارة. كما أن مجموعة الخدمات الواسعة الموجودة في الفندق لضمان راحتك تترك لك الكثير من الخيارات لقضاء وقتك أثناء فترة إقامتك. يشكل ibis budget Canberra بخدماته الراقية وموقعه الممتاز، قاعدة مثالية للاستمتاع بإقامتك في كانبرا. Nice, friendly check in staff. Quiet location, just off the highway leading into the city centre. A short drive to restaurants/shops. Room, TV and bathroom all very small but quite comfortable and clean. Staff were great, room less so. Had mould on walls which was pretty bad to see. I know it's a budget place but you should still expect a nice clean, basic room. Worth spending extra 10-20 to stay at a proper place. Thoroughly enjoyed my short stay, staff very friendly and extremely helpful. Location was fantastic and was easy to find. The accommodation was adequate and clean. I would definitely recommend to friends. This unpretentious hotel offers a very good package for the budget conscious traveller. Staff are exceptionally helpful. It is highly desirable to have your own car if staying here. It is a nice hotel in a nice spot. on the edge of Canberra, towards Sydney. Bed was comfy and AC was cool. bathroom was small but met our requirements. the TV had no ABC or SBS channel. you have to buy the wifi. our room had spiders webs on the top and some tiny insects. The receptionist made a mistake and initially gave us a room that was a not prepared, but instead he was nice enough to give us free breakfast vouchers and another room. The reception and stairs area had a weird smell. free parking. cleaning lady knocked at our door at 9am, although the check out time was 10am. Hotel was clean and friendly staff. However room and the toilet was very small. Wash basin was placed inside the room next to the bed. There was a large single high step to enter the toilet. Not much privacy with rooms open to the car park. Lots of disturbance as you could regularly hear others talking. Even though we stayed two nights, rooms were not prepared on the second day. Only the towels were changed. Nice place. Great staff. Clean and a great price. I will stay there again. 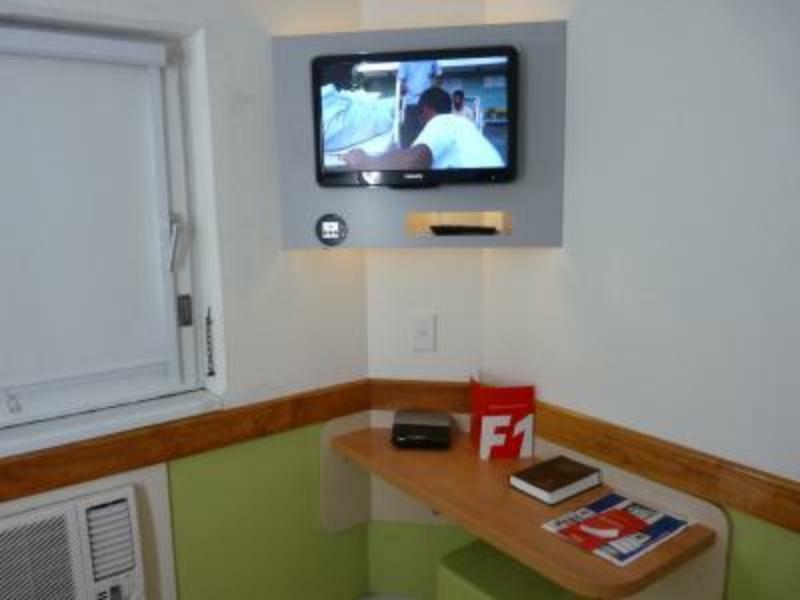 Staff were friendly, facility offered value for money for a short overnight stay, however, the bathroom whilst clean overall, could do with a toothbrush type of clean in shower wall joins. A little disappointing for any accommodation. 2 star is underrated. room was good, clean spacious, with toilets etc.. I give it 3 stars. Carpark is available and free. Hot water, tea, coffee in room provided.. some 3-4 stars don't even provide that 15-20 mins drive to Canberra city, casino area. same time needed to visit the war memorium. MUST GO ! Good stop point for us, as we headed to snowy mountains ! Highly recommended place to stay. IBIS did not fail to disappoint so far. 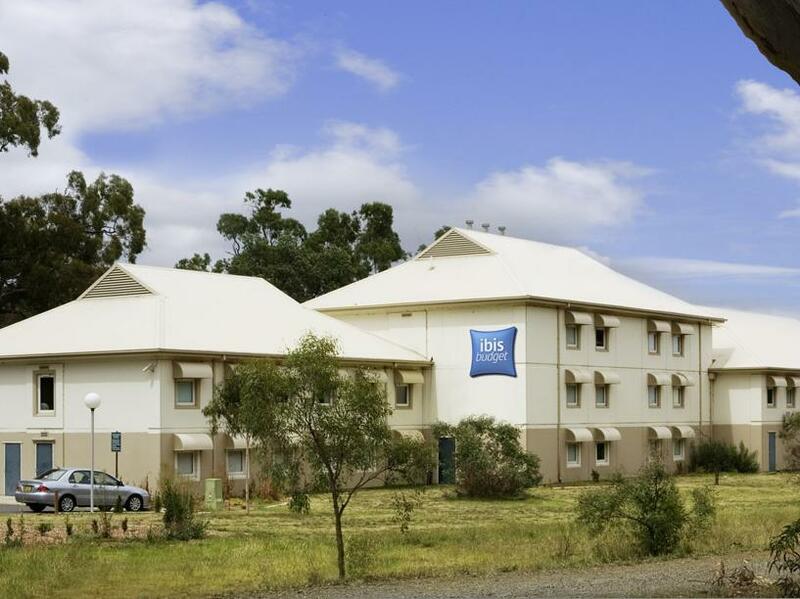 My 17 year old son and I stayed at this budget Ibis accommodation. The staff were very approachable and personable. They were lovely any time we spoke to them and this goes a long way for word-of-mouth recommendations for future business. While the room is quick small, the budget price you pay is more than reasonable! The hotel is very clean and tidy, the bed was comfortable, there was good privacy between rooms and the staff were very friendly. We'd recommend shorter stays because the room might get a bit small but a stay of a few nights wouldn't bother most! The hotel is located some way out of downtown but it is ideal to get a budget hotel like this IF you are by car. Perfect for example with rental car, then you can either find a bus into center or drive a little closer to it. The hotel rooms are pretty decent sized, the staff was friendly and it was a very quiet area. If you dont want to pay more than 50-60 dollars and still live nicely this is the best place. I have stayed in different IBIS hotels around the world but this was one of the best ones. Stayed at this hotel on the way to Victoria from Queensland. Hotel is basically just a bed and bathroom. It was fine for the one night I stayed there but couldn't imagine staying there any longer than that. It's close to local supermarkets and restaurants and the woman at the front counter was very friendly upon check in. The room was clean and looked fresh. Overall it was fine for budget accomodation. The reception was friendly and advised us about shopping and sightseeing in Canberra. 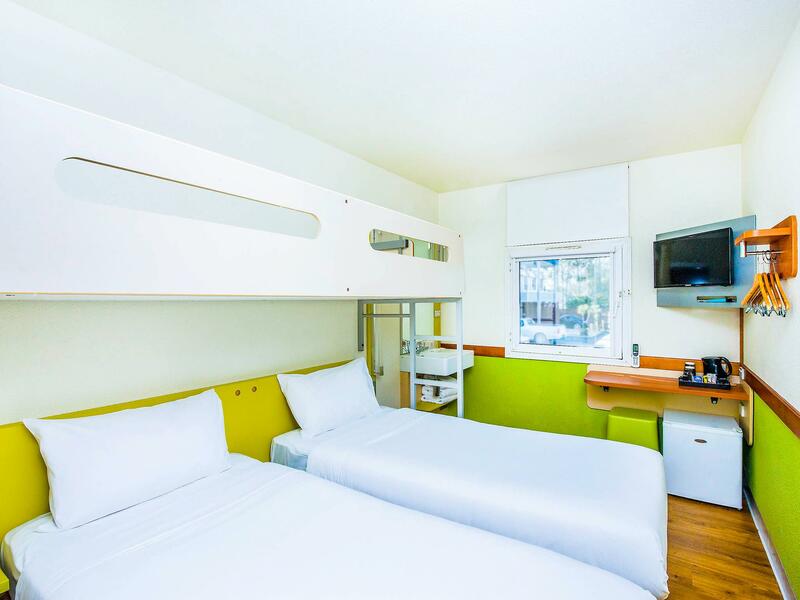 The rooms were compact but with a practical layout to ensure a comfortable stay. The room was equipped with LCD TV and coffee/tea maker. 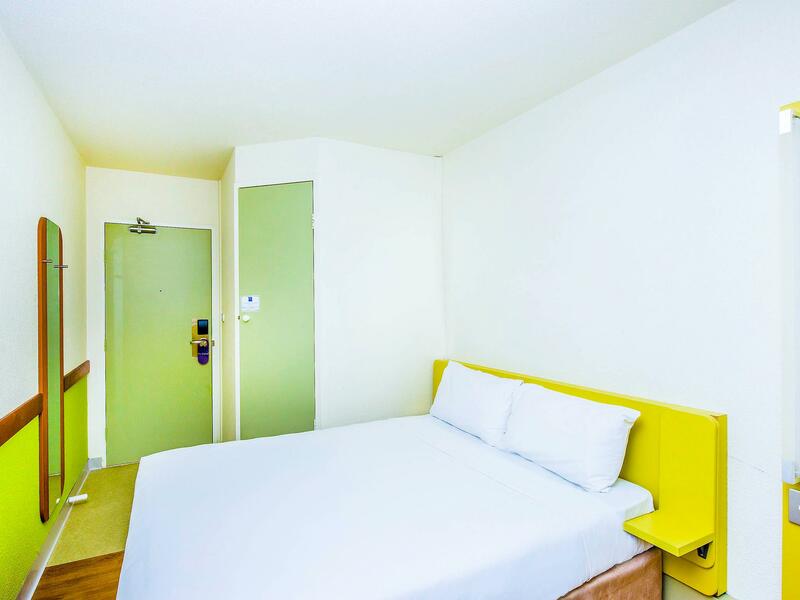 The location of the hotel is ideal for travelers entering the city from the north (Sydney). The sights of Canberra are only a few km away. Parking for the car is provided for free. I would return to this Motel on another visit to Canberra.